and how marvelous she looks in Green. I always felt she was the beauty of the 3 girls. She was always over looked, and under appreciated. She is Elegant, yet simple. suits Lady Edith much better, then Lady Sybil. 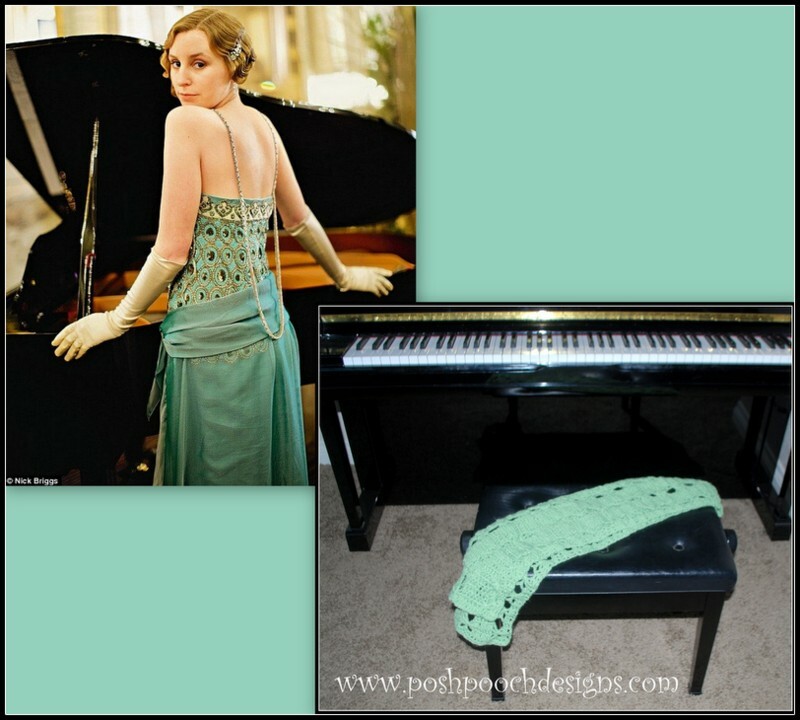 Please, add this crochet Pattern to Your Ravelry Favorties. Yarn: Fine (2) 380yds/ 3 oz. Ch3 counts as a dc at beginning rows. ch5, sk the next 5 dc, 1 dc in the next 3dc, turn. Ch5, 1 dc in the next 6 dc, ch5, 1 dc in the next 3 dc, turn. 1 dc in the next 3 dc, turn. 1 dc in each dc across, tie off and weave in your ends. A simple yet elegant Scarf. I am so sorry to see Downton Abbey end. it was a lovely series.